One of our favorite things about Winter is eating soup! It's so warm and cozy and full of goodness. When eating soup at our houses, bread isn't really optional and this Garlic and Herb bubble bread is the perfect companion to a bowl of soup. It's a cinch to throw together and our families loved it! Start by thawing about 20 Rhodes rolls. Mix some minced garlic and Italian seasoning into melted butter. 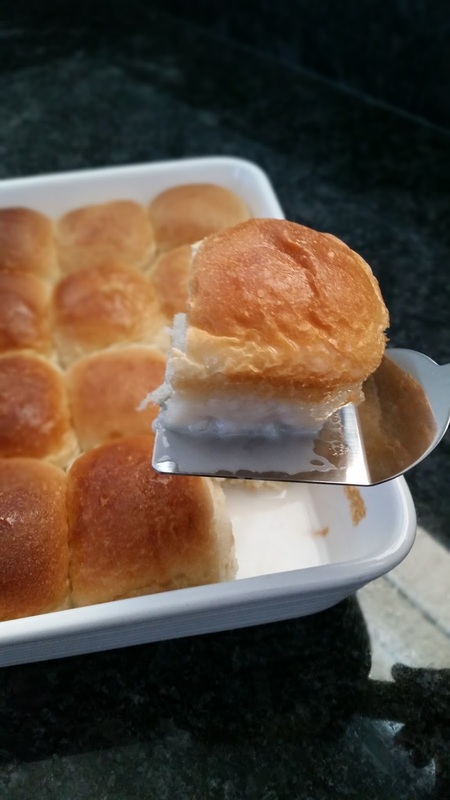 Cut each Rhodes roll in half and dip into the butter mixture. Place in baking dish. Cover and let rise. Bake until puffy and golden brown. Pull apart and dig in! 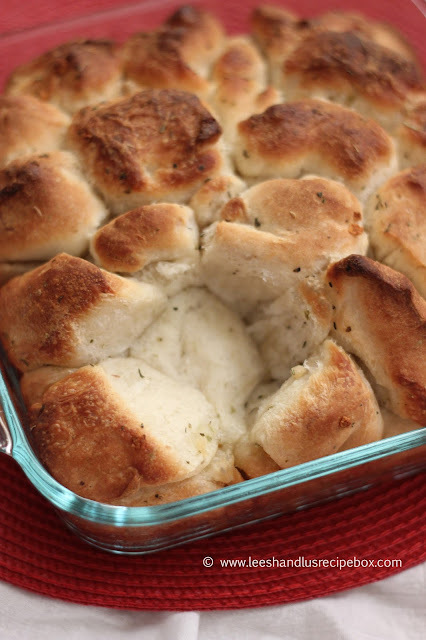 If you're looking for something extra special, you could stuff each half of roll with a small cube of mozzarella cheese and have a delicious cheesy bread! Enjoy! Let rolls thaw according to directions on package. Lightly grease a 9x9 pan. 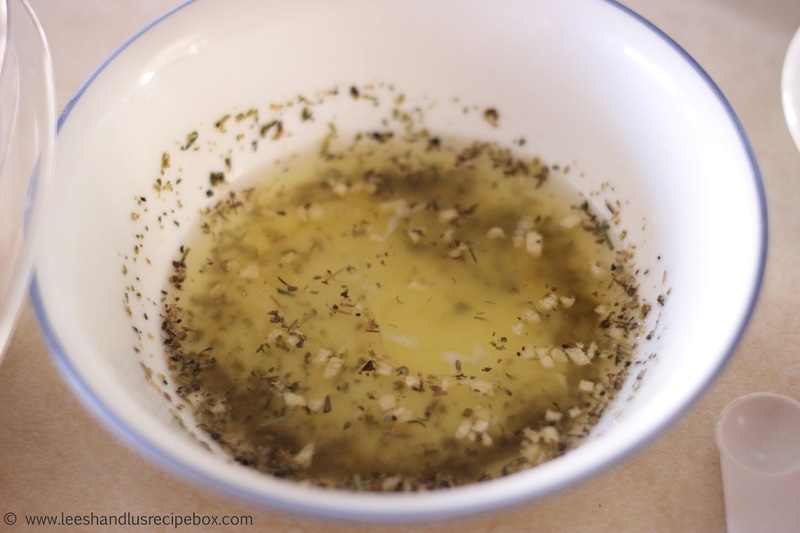 Combine butter, garlic, and Italian seasoning in a small bowl. Cut each roll in half, dip into the butter mixture, and drop into greased pan. Repeat with all halves. Sprinkle parmesan cheese on top, if desired. Let rise until doubled (45 minutes to 1 hour). Bake in a preheated oven at 375 for 30-35 minutes or until golden brown on top and internal temperature is 200. 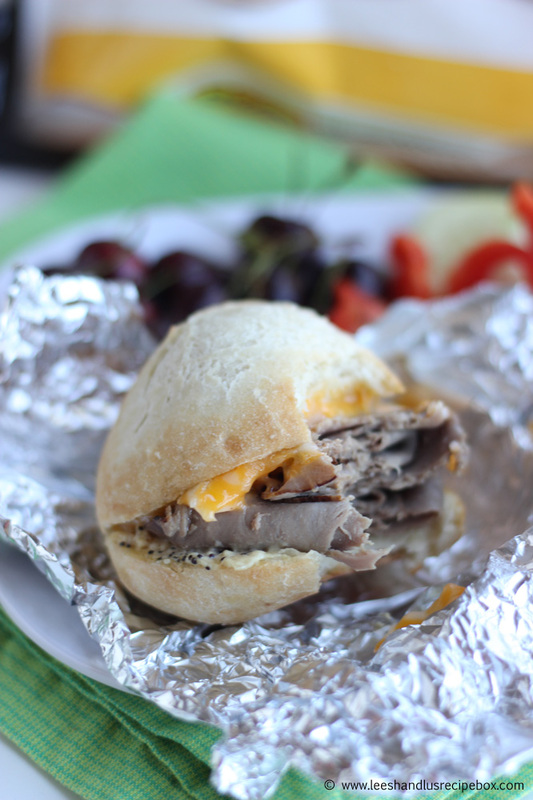 We recently discovered a super simple way to make Rhodes rolls extra special for a holiday dinner or something. It only takes 2 additional ingredients and about 30 extra seconds. 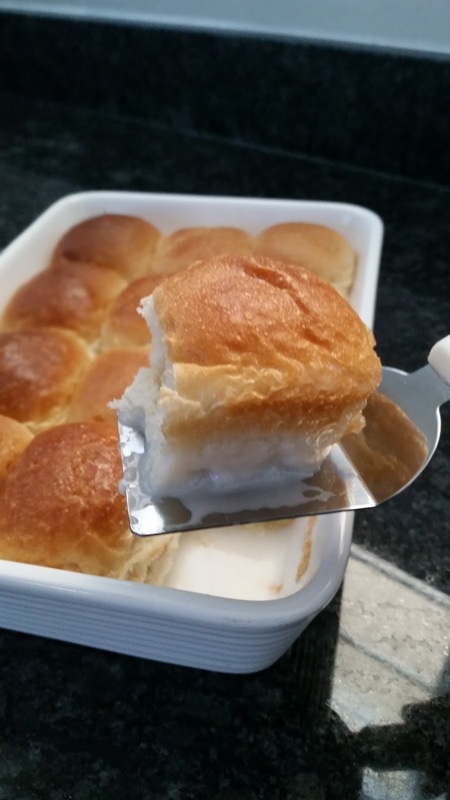 These Rhodes rolls are risen and then covered in a mixture of coconut milk and sugar and baked to sweet perfection! They are delicious warm or cooled and would make a great addition to a Thanksgiving or Christmas dinner spread. 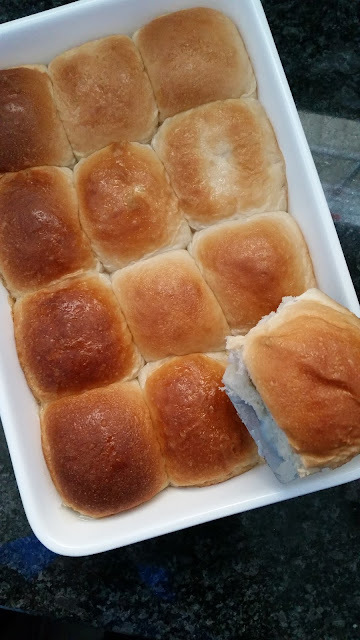 They are a super simple way to fancy up your rolls! Give them a try and let us know what you think. They will be appearing on our Thanksgiving dinner table tomorrow. We can't speak from an authenticity standpoint, as we have never tried authentic pani popo, but we can guarantee that these are delicious! Give them a try and let us know what you think! Place frozen rolls in 3 rows of 6 in a sprayed 9x13-inch baking dish. 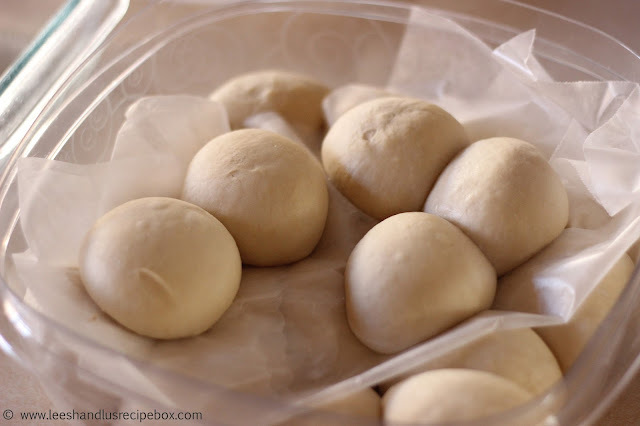 Cover with sprayed plastic wrap and let thaw and rise until double in size. 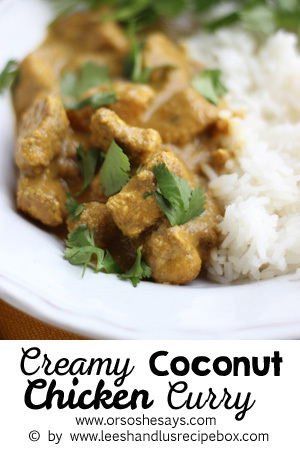 Combine coconut cream and sugar and mix well. Bake at 350°F 30-35 minutes. You made need to place a piece of foil gently over the top to prevent them from browning too much. Just keep an eye on them as they cook. Note: Coconut cream mixture will thicken as the rolls cool. With Thanksgiving right around the corner, we are beginning to plan our menu and call dibs on the dishes we want to bring. Besides being with family, these sweet potatoes are one of the best things about Thanksgiving. 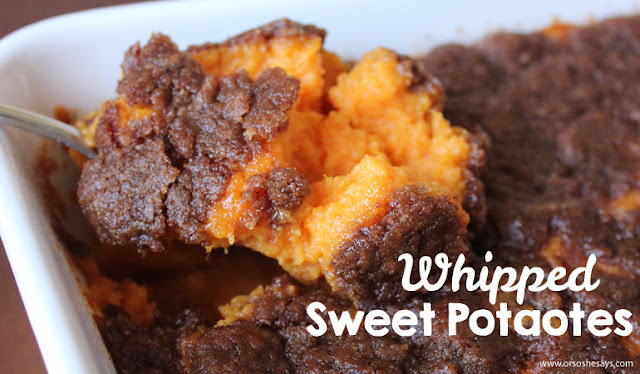 The canned sweet potatoes topped with marshmallows don’t really speak to me, but these whipped sweet potatoes are a whole different story. A few reasons why these are my favorite thing to bring to Thanksgiving dinner–1) they taste darn good! 2) they are so easy to make, and 3) they can be made several days in advance. I’ve made them a couple of days before and covered them with plastic wrap and refrigerated them until ready to bake and they tasted just as great as baking them the same day. Make-ahead Thanksgiving dishes are especially nice if you’re traveling and want to do the prep and make the mess in your kitchen rather than someone else’s. We are sharing the RECIPE HERE! 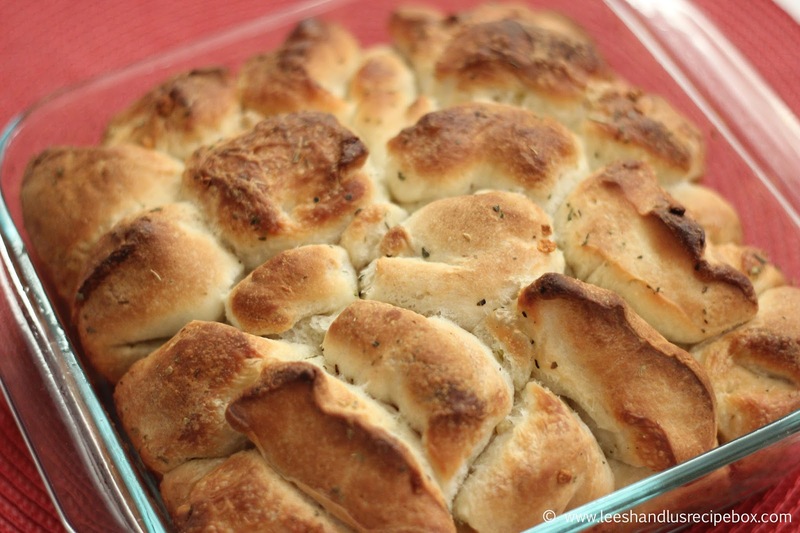 We love serving rolls or bread with our dinner! And especially during soup season! Usually yeast breads require several hours of advanced planning, which isn’t always something we have time to do on a busy weeknight. 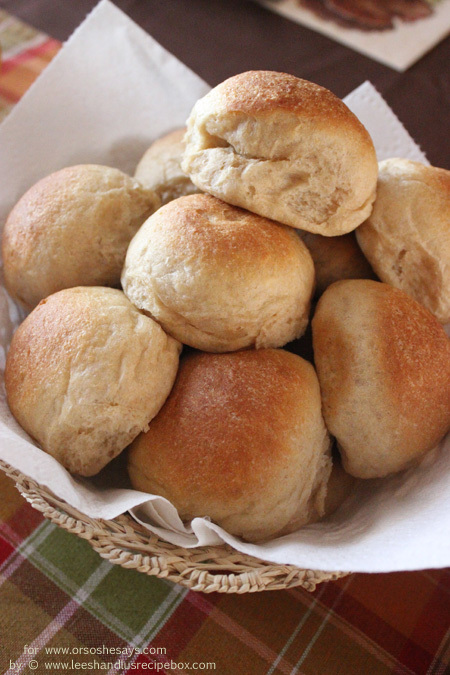 These quick dinner rolls cut out the first rise on the dough and are ready in under an hour. And they are whole wheat! 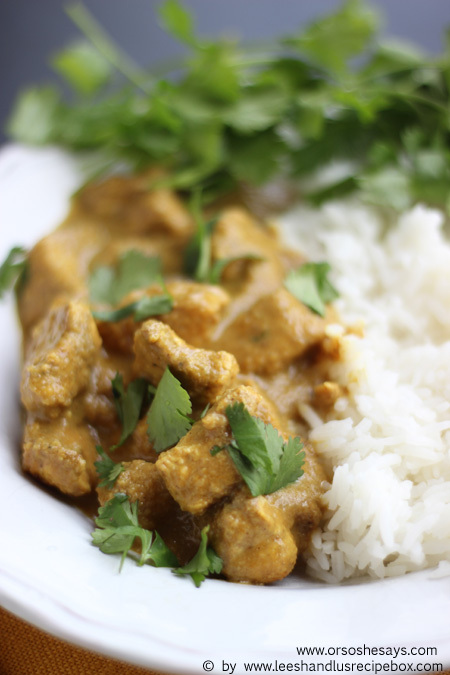 Healthy, soft and quick! It's a winner! We're sharing the RECIPE HERE! 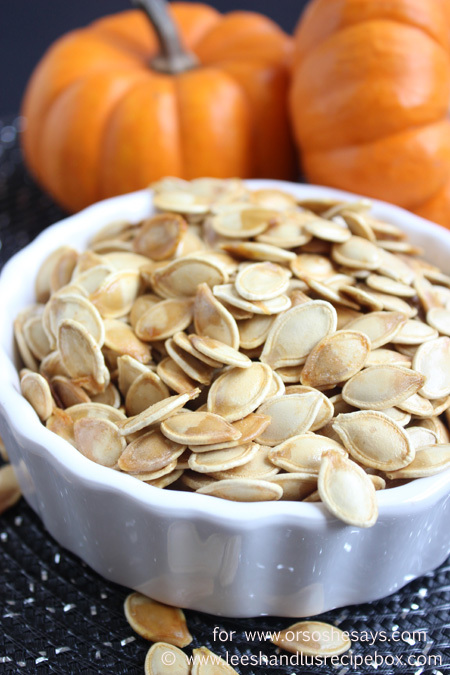 We're sharing this super simple roasted pumpkin seeds recipe on the OSSS blog today. It's a perfect salty snack to counteract all the trick-or-treating sweets and easier than you might think! This chicken is the perfect go-to meal when the fridge is nearing empty and a grocery run won't happen before dinnertime. If you're like us, chances are you'll have everything on hand to make this mouth-watering chicken. 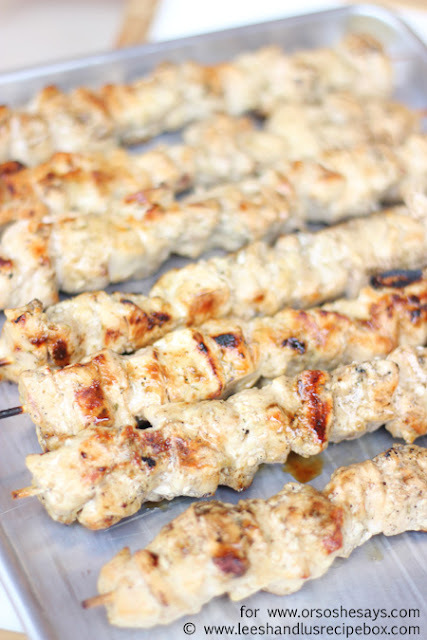 Mix up the marinade while you defrost the chicken, let it hang out in the marinade for 30 minutes, then grill or bake it and dinner is served. 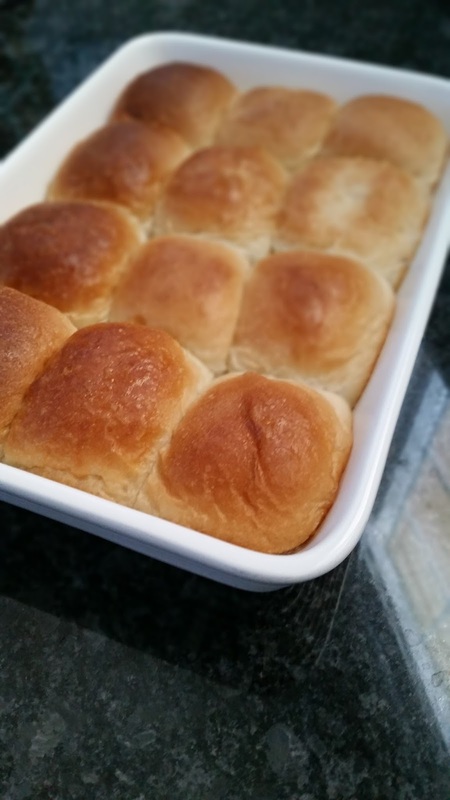 Don't forget some Rhodes Warm N Serv Rolls to Complete The Meal. They have saved us so many times at dinner when we just need something else to round out the meal. 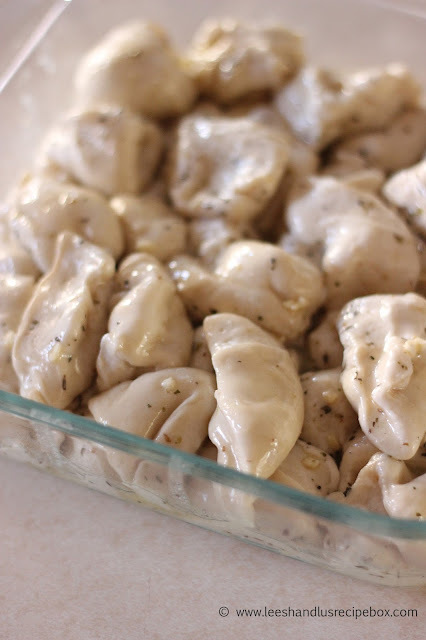 No rising, no waiting--they're already cooked and just need to be warmed in the oven or the microwave and they are good to go! The regular ones are awesome, but the Artisan French Rolls are our favorites! Grab a bag on the frozen foods aisle next to the regular Rhodes rolls next time you're shopping. They make fantastic slider buns, too! Cut chicken breasts in half lengthwise to create thinner cutlets. In a mixing bowl or shallow container, whisk together all the marinade ingredients. Add chicken breast cutlets to marinade and let sit at room temperature for 30 mins. Grill for 5-8 minutes per side or until juices run clear or bake (on a lightly greased baking sheet) at 375 for 25-30 minutes, or until internal temp reaches 165. Allow to rest for 5 minutes before slicing or serving. Are you lucky enough to still have zucchini in your garden? Or maybe a generous neighbor willing to share some? 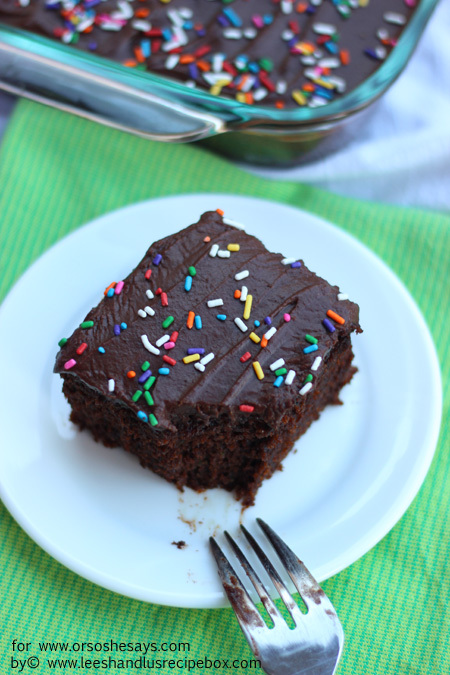 If not, pick some up on your next grocery run and make this stellar, super-moist, decadently delicious, chocolate cake! You won't be disappointed! 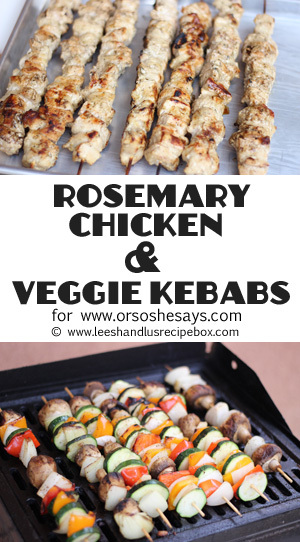 We're sharing the recipes on OSSS today. Head there to check it out! Fall time brings a lot of treats, sweets and goodies! 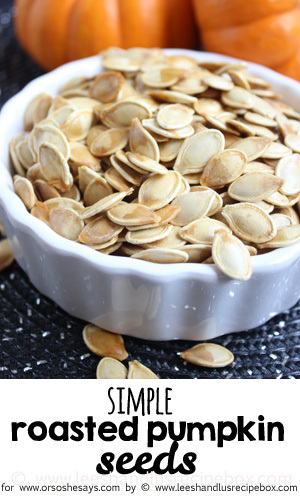 I know I'm always left looking for something nutritious and healthy - and this little "treat" was just fun and cute, so my kids thought it really was a treat - but it was more of a healthy snack. So I called it a win-win! 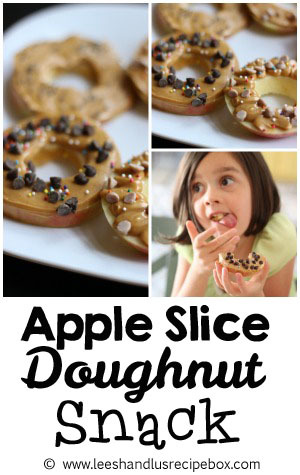 We call these Apple Slice Doughnuts! 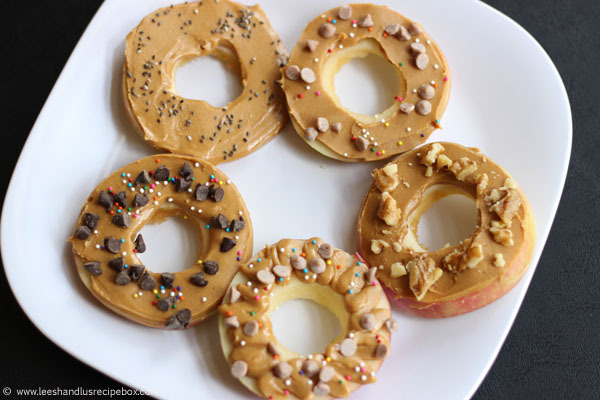 No promises that they taste like an actual doughnut, but we like to call these doughnuts anyway. The kids love being able to customize their own. We like to switch it up and use different nut butters as well--or even nutella or cookie butter if it's for dessert. 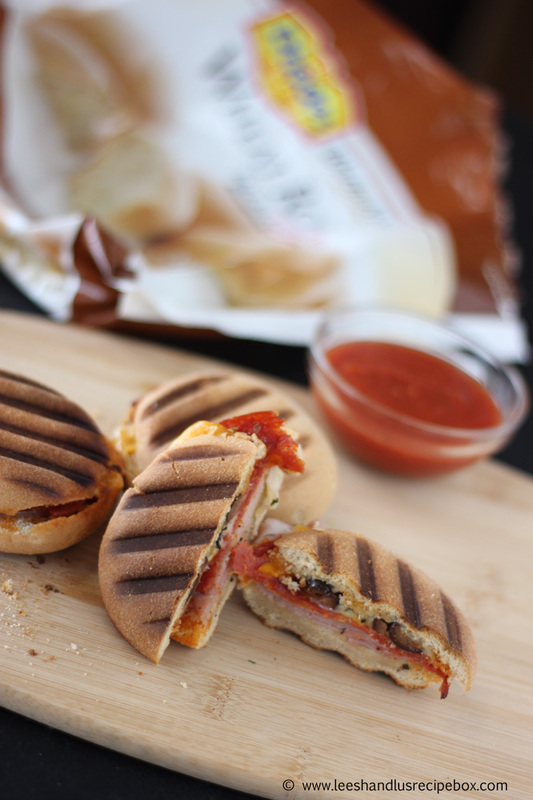 These work great for a mid-day pick-me-up or an after-school snack! 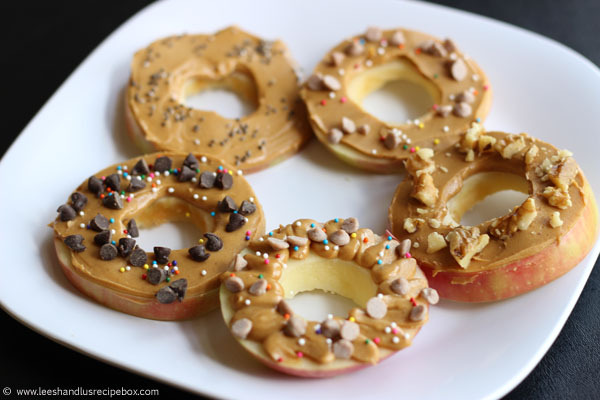 Spread apple slices with nut butter and top as desired. 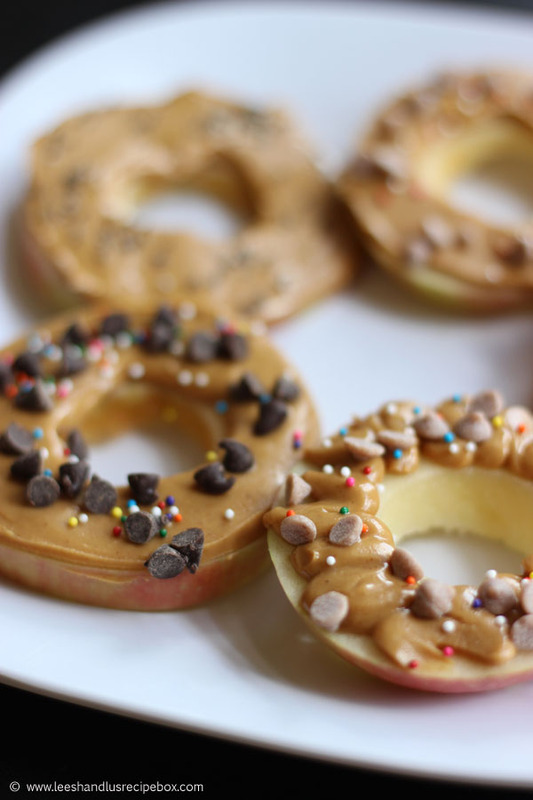 You can also put your nut butter in a plastic ziplock bag and snip the end to squirt it on the apple. It's sometimes tricky to spread a sticky butter on a juicy apple! :) Serve immediately. 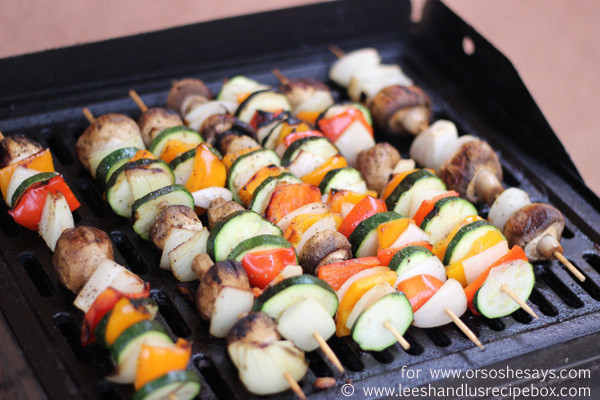 Though summer is coming to an end, grilling doesn't have to. 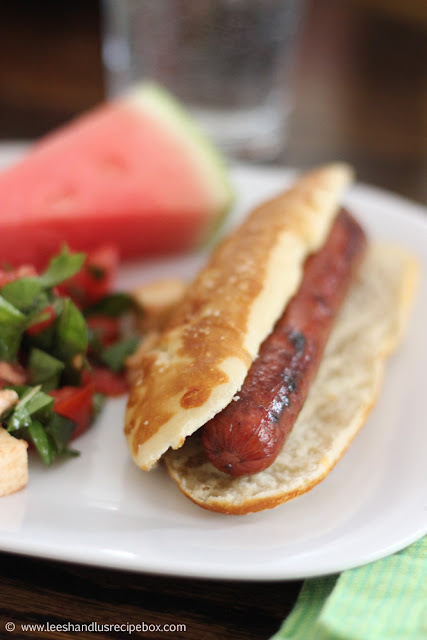 Today on the Rhodes Blog we are sharing our favorite hot dog bun. It's a pretzel hot dog bun made from 2 Rhodes rolls and it is so much yummier than an traditional store-bought hot dog bun. Head over to get the printable and give them a try this weekend! Happy grilling! 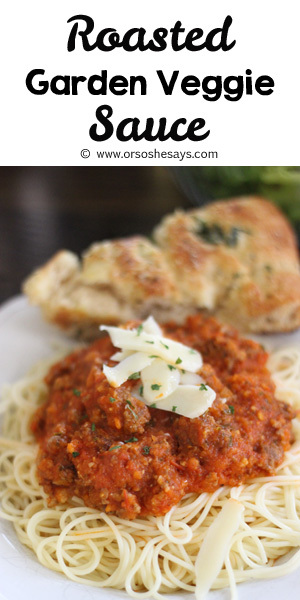 Today over at OSSS, we are sharing the most perfect way to use up those garden tomatoes! 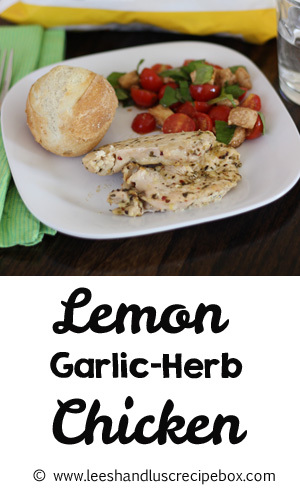 It is fast, easy, and best of all--full of flavor! 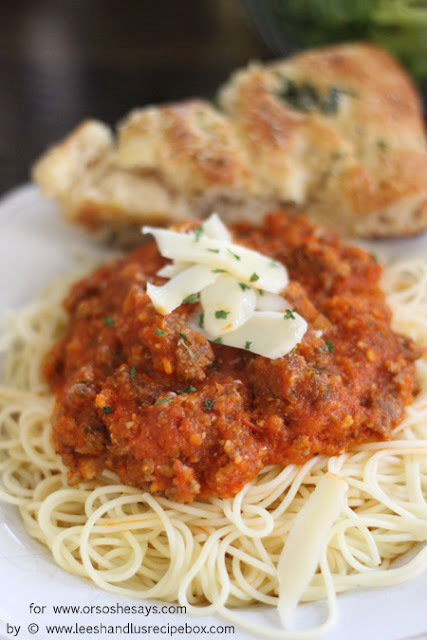 We're looking for any way possible to eat this sauce--over pasta, on pizza, as a dipping sauce for breadsticks or even grilled cheese sandwiches. 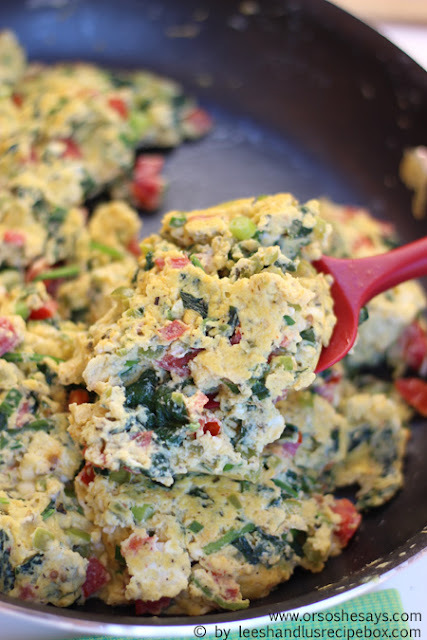 It's also super yummy over broccoli, cauliflower, and zucchini. Give it a try and you'll be looking for ways to eat it, too! Recipe printable and tutorial at OSSS. Use up those yummy summer garden veggies! The seasonings in here are amazing! It will help you get your veggies in at breakfast and leave you feeling satisfied and ready to take on a new day! 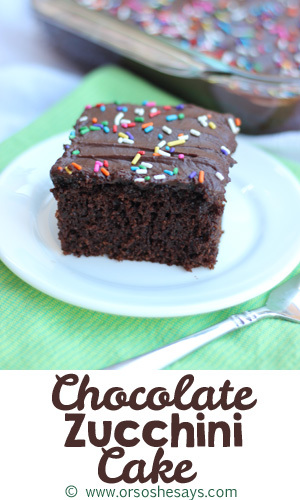 Head over to OSSS to get the recipe! 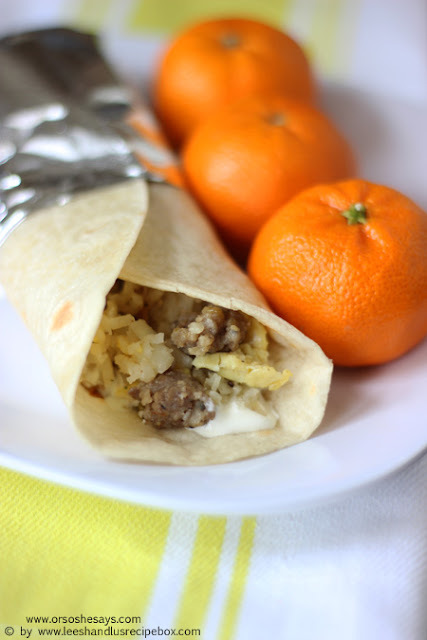 We're sharing a yummy back-to-school breakfast idea today over on the Rhodes blog. 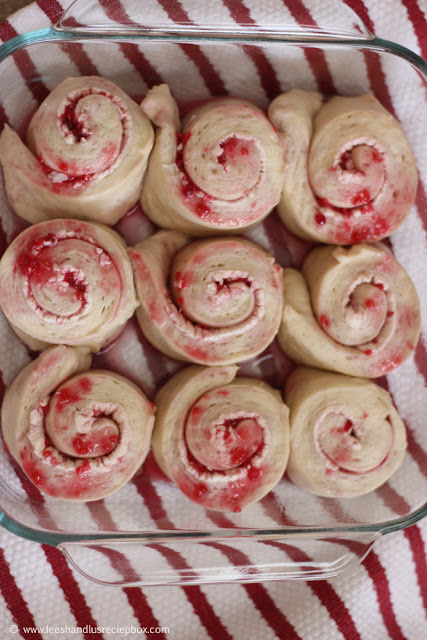 These Raspberry Cream Cheese Rolls are to-die-for and they come together in a flash with the help of Rhodes frozen dough. 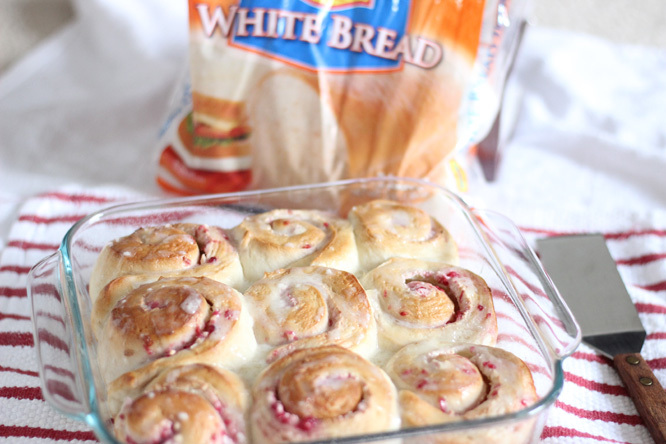 They're great for breakfast, brunch, or dessert! After discovering this amazing marinade recipe, we're hoping that grilling season will last forever! 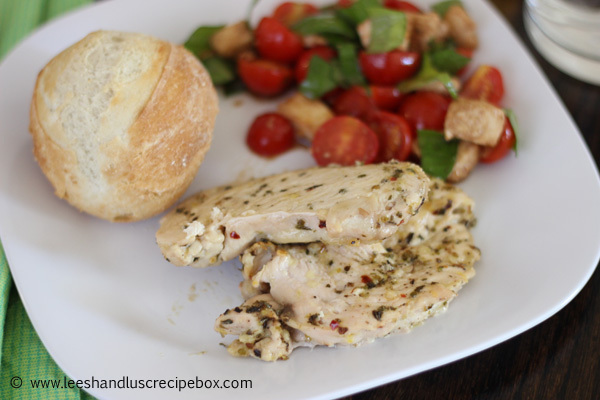 This grilled chicken seriously comes out so tender and flavorful! Say Hello to the perfect summertime dinner -- heat them in the crockpot, oven, over the grill, or even on the coals of a campfire. They are easy to serve to a crowd and a new favorite at our houses! 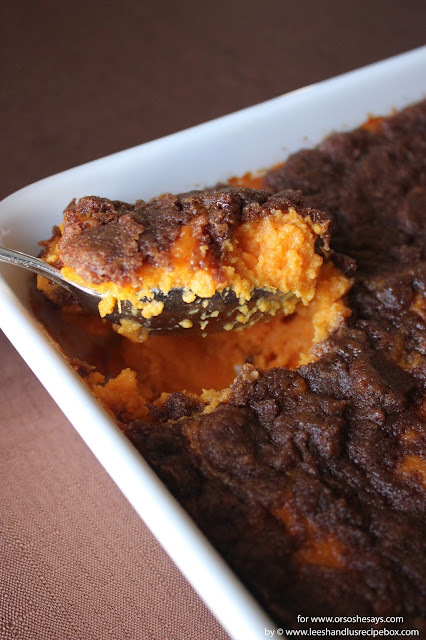 Check out the Rhodes Blog where we're sharing the recipe today! We’re all about quick and easy no-oven meals during the summer and if you love broccoli like we do, this one is a good one! 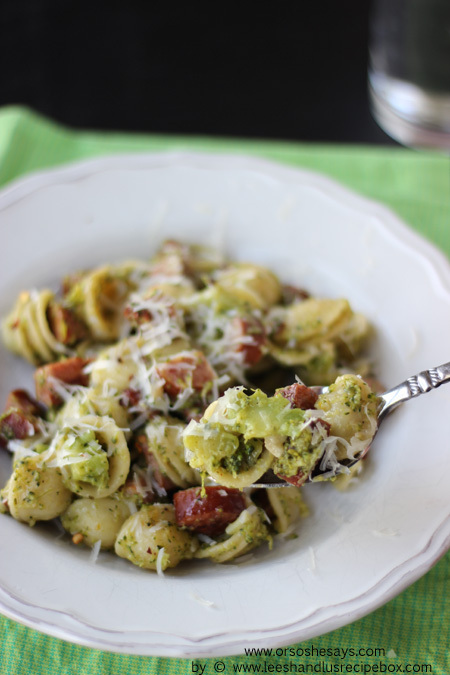 It's lighter in calories than most pasta dishes, but definitely not short on flavor! Grab the printable at Or So She Says! 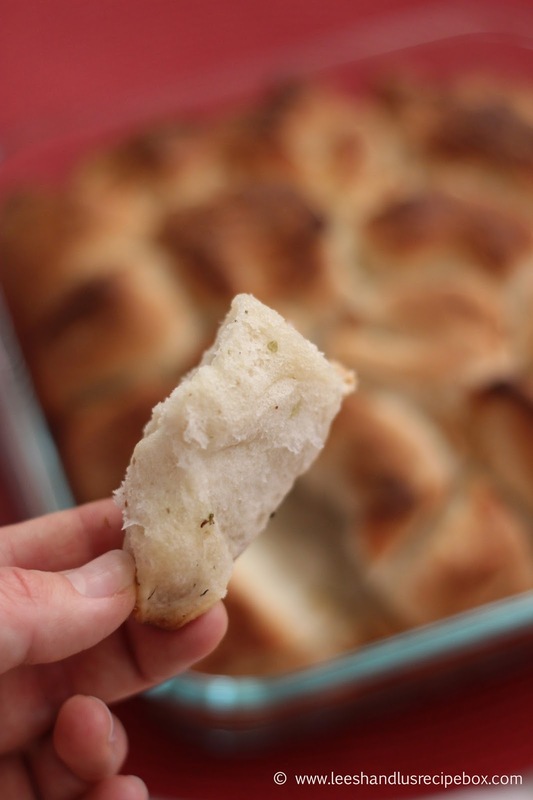 Have you ever wanted a shortcut to baking a crusty baguette? We used a loaf of Rhodes White Bread and doctored it up to have an amazing crusty exterior, while still being soft and airy in the center. It's perfect paired with Herbed Parmesan balsamic dipping sauce and we're sharing how we made both over on the Rhodes blog today. Need some camping food inspiration? 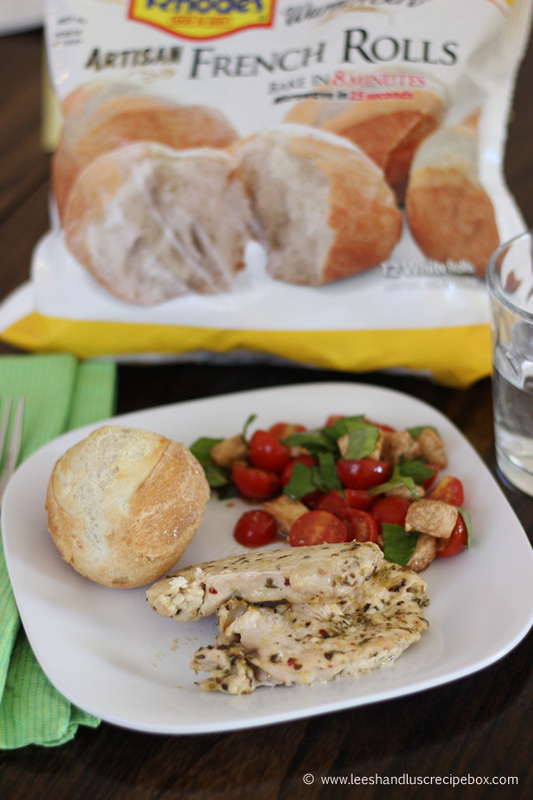 Or even just a quick and easy summer time dinner? 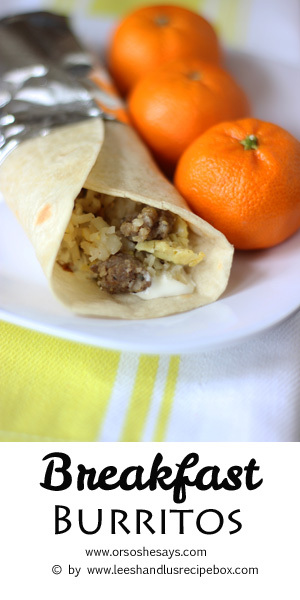 We love these breakfast burritos for both! Head to OSSS where we're sharing the recipe and make-ahead instructions. We love having pizza night a few times a month. These were a fun way to mix things up - and were super easy to make with Rhodes Warm-N-Serve rolls. Those have been a life saver on nights when it's hard to find time to make anything. I like keeping a bag or two in the freezer just for that. 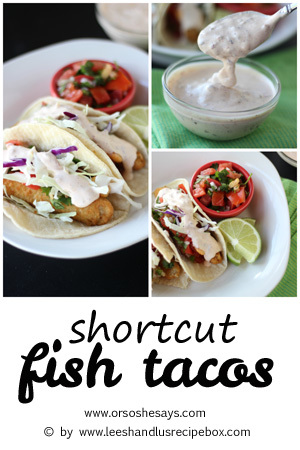 These fish tacos make me crave warm weather and they can be on your dinner table in under 30 minutes. 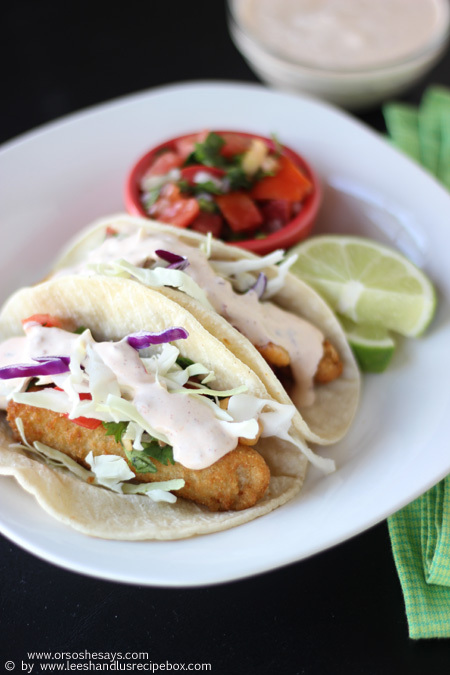 They are fast, fresh, and oh-so flavorful. I think you need them in your life! The chipotle-lime sour cream sauce is good enough to drink. Also, we're sharing a few shortcuts to making these and an idea of how to deconstruct this meal for picky eaters.